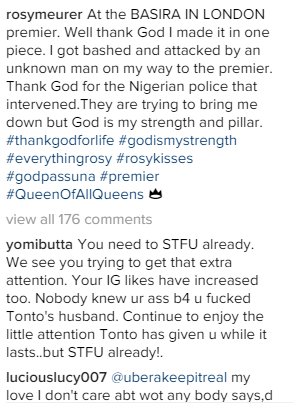 The lady who stole the show from Tonto Dikeh, Rosaline Meurer was over the weekend attacked by a suspected fan of Nollywood actress Tonto Dikeh on her way to a movie premiere in Victoria Island, Lagos. 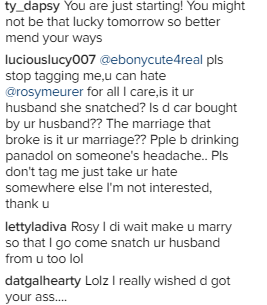 Rosaline who confirmed the incident on her official Instagram page thanked the Police for coming to her rescue. 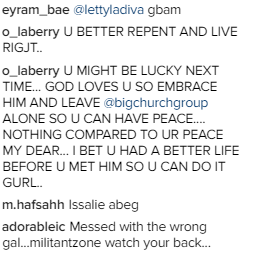 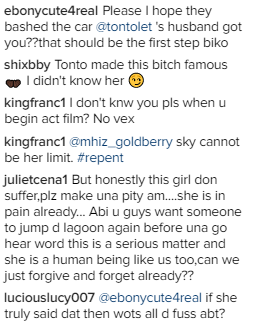 As if that attack wasn’t enough, fans of Tonto Dikeh soon swooped to her Instagram page to curse her out. 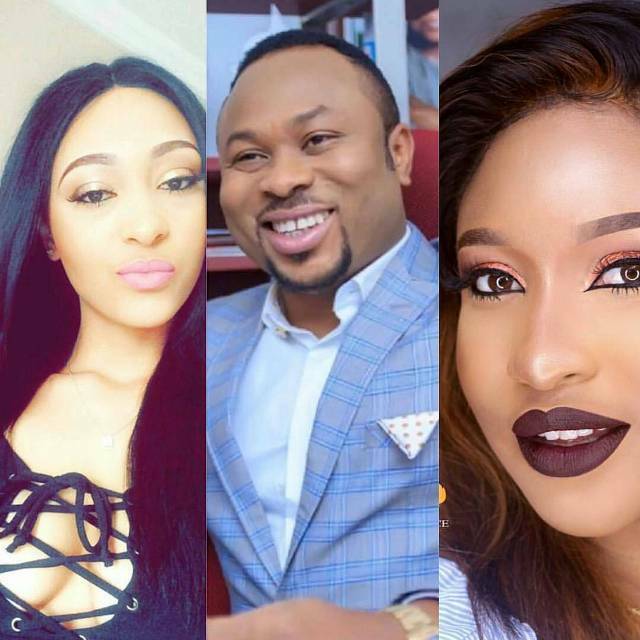 Rosaline Meurer was over the weekend attacked by a suspected fan of Nollywood actress Tonto Dikeh on her way to a movie premiere in Victoria Island, Lagos.